In a celebratory moment for Gulf News, one of our own was awarded for her unfailing courage in journalism. Swati Chaturvedi has been making waves in India and abroad with her impactful and courageous journalistic attitude. Celebrating a momentous occasion for news and journalism globally, Reporters Without Borders (RSF) awarded four journalists from around the world for fearless, impactful and independent reporting. For the first-time in their 26-year old history, the event was held in London on Thursday, November 8. The nominees included journalists, NGOs and media organisations in four categories: Courage, Impact, Independence and a special newly created category – L’espirit de RSF for UK media. I don’t have the fear gene in me, I am just doing my job. Swati Chaturvedi was one among four nominees for the Courage category which included Paolo Borrometi (editor of anti-mafia investigative site La Spia in Italy), Cigdem Toker (independent Turkish journalist and columnist for Cumhuriyet) and Hamid El Mahdaoui (founder editor of Badil.info sentenced to a jail term of three years in June in Morocco). This year’s awards were selected by a high-profile international jury, including Nobel Peace Prize laureate Shirin Ebadi, Chinese activist Wu’er Kaixi and RSF President Pierre Haski. RSF’s UK advisory board - including Fleet Street legend Eve Pollard, former Director of BBC News James Harding, and Channel 4 News Anchor Jon Snow - selected the winner of the special ‘L’esprit de RSF’ prize for UK media. Threatened: Is Narendra Modi now demonetising democracy? Ram temple: With no acche din in sight, will the mandir answer BJP’s election prayer? 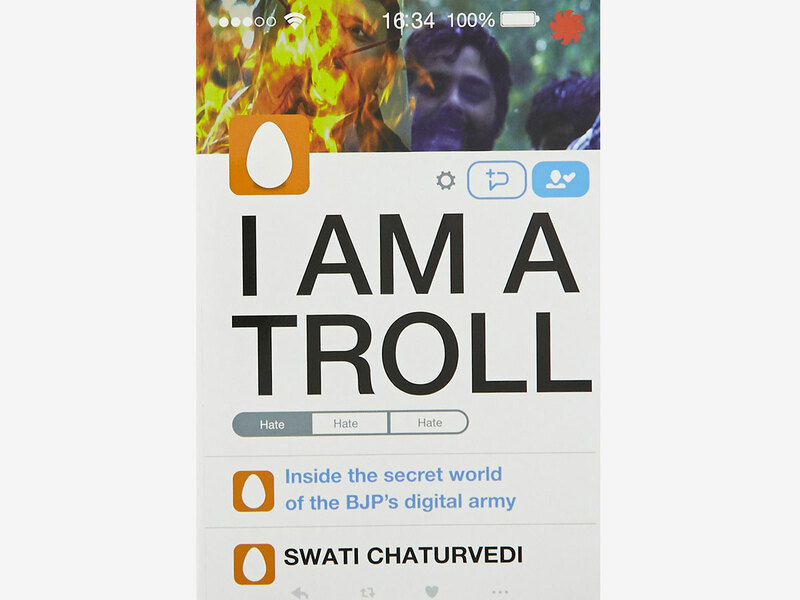 Unafraid to take on a government that she believes is trying to downplay the importance of free media in a democracy, or a social media mob who threaten and target her daily for writing what she perceives as right in no sugar-coated terms, Chaturvedi is only concerned about one thing – reporting the truth. On a phone interview with Gulf News, Chaturvedi had one refrain – journalism shouldn’t need courage as a pre-requisite. Has journalism in India gotten harder? I have always been doing the same thing, since the day I started my career. I have remained the same. I speak the truth as I perceive it and that’s that. The only thing that has changed over time is the tolerance of the government and politicians. As a BJP [Bharatiya Janata Party] or Congress politician, you may not like the media but this is a democracy and media is one of its core institutions. There is now no institutional respect for the media or its importance in the system. For the current government in power, and Narendra Modi [Indian Prime Minster] all they want is a monologue conversation. They don’t want scrutiny but the point of democracy is the fact that as media, we get to ask questions. The environment and attitude towards journalists is so hostile that one wonders if India is even a democracy anymore. Do you think having courage has become a must-have for emerging Indian journalists? I don’t think courage should a pre-requisite to any profession, let alone journalism. You should be able to report and express the truth without being afraid for your life. Unfortunately, politicians and the current government have made it seem like a must-have. Nowadays people have started perceiving media as negative, inciting hate and as propagators of fake news. Adding to that is the rising use of social media for news. How has that affected the industry in your opinion? This is very true and is an interesting aspect to look at. I believe it again has to do with how the government is pushing the image of media as negative. That has definitely trickled down. In 2014, BJP launched a huge social media campaign. They used loaded words to describe the media, such as cow media, corrupt, fake, presstitutes. They repeated them over and over and it trickled down to people as well. It is also leaders’ responsibility to make sure people accept and respect the importance of free and true media in a democracy. Another thing that happened with the advent of social media is that people started to feel like they can directly communicate with anyone – celebrities, politicians, government officials of the highest level. But what people don’t realise is that this sense of a direct communication channel is just an illusion. How does it feel like to be a journalist in India today? I think as free media it is an exciting time to be a journalist in India because there is much to uncover and so much to talk about. If you’re looking for fame and brownie points in the industry you can’t report the truth. But if you want to be an investigative journalist there’s so much to bring out, so much others are trying to cover up. I tell the truth as I see it, as I have been doing for all these years, but yes, some of my colleagues have rolled back on what they do and succumbed to governmental pressure. Many of them have become cheerleaders for the government and a medium for driving their agenda. For me however, I can’t tailor the truth. I do find it refreshing and unique that writing from India facing so much media censorship, Gulf News, as an independent publication based out of the UAE, has given me a lot of freedom to report my truth.